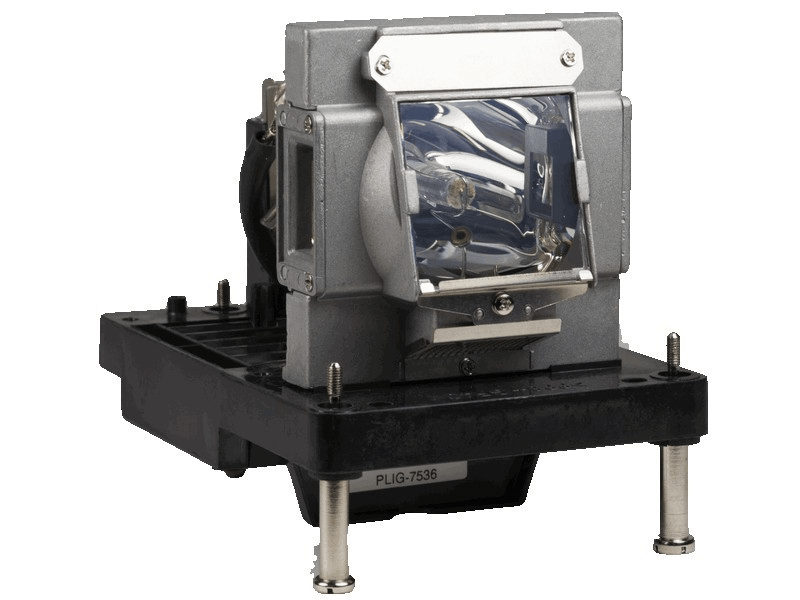 The R9801343 Barco projector lamp replacement comes with a genuine original 465 watt Ushio bulb inside. This lamp is rated at 13,500 lumens (brightness equal to the original Barco projector lamp). The R9801343 lamp has a rated life of 2,000 hours (2,500 hours in Eco mode). Our Barco R9801343 replacement projector lamps are made with a high quality USHIO brand NSH bulb with main components made in Japan. Beware of cheaper lamps made with generic bulbs with lower quality and lower light output. R9801343 Barco Projector Lamp Replacement. Projector Lamp Assembly with High Quality Genuine Original Ushio Bulb Inside. Very pleased with the ordering process and the professionalism of Pureland Supply. Our tracking number was emailed within hours and our lamps were received in a timely manner. We definitely recommend this company. Delivery was on time and our lamp looks a lot like the original Barco lamp - maybe it is? We saved a lot of money and are extremely pleased with the product quality.